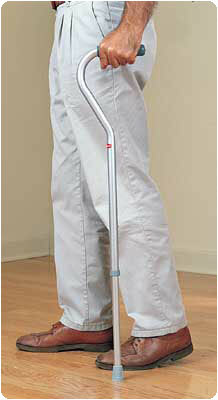 Aluminum cane adjusts from 29"- 38" at the touch of a button. Right- or left-handed use. Weight capacity is 250 lbs. 7/8 diameter tubing. Latex free.